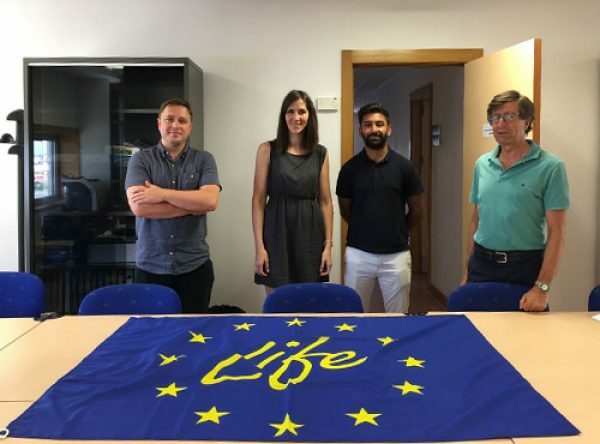 Kassim Caratella and Dominic Jasinski, technical managers of the environmental consultancy Exergy Ltd (Partner of the Life-Repolyuse Project), visited the facilities of the Higher Polytechnic School (Milanera) of the University of Burgos, to begin the monitoring phase in the Demo-site of the Life-Repolyuse Project. 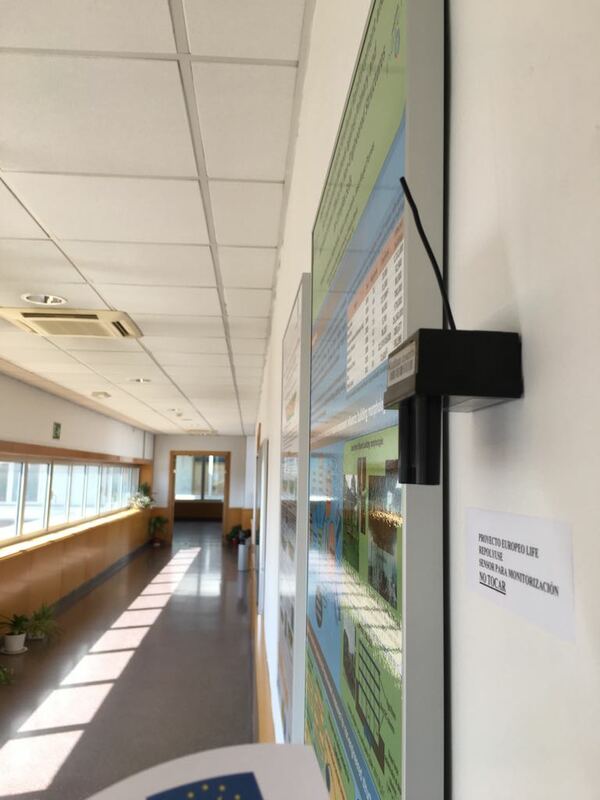 The demonstrator has an approximate area of 350 2 and is located on the second floor of the EPS (Milanera) in various areas of the Department of Architectural and Engineering Building and Land. The project involves replacing the gypsum boards of the recordable ceilings with the new ones defined in the LIFE-REPOLYUSE project and the monitoring of the defined areas. Placement of sensors and calibration of equipment. Measurement in the standard ceiling for 12 months. Installation of plaster tiles LIFE-REPOLYUSE. Measurement on the ceiling with LIFE-REPOLYUSE plaster tiles for 12 months.